Thursday 4th September - Ah, Bethnal Green. Why aren't you slightly closer to SW11? Regular readers might have spotted my fondness for this rapidly improving area for food & drink after numerous posts featuring the likes of Redchurch Brewery, Peg + Patriot, Satan's Whiskers, Mother Kelly's, Dead Doll's Club and more. All the way back in April, Mother Kelly's opened up on a quiet Paradise Row in one of a number of archways that Network Rail decided to capitalise on. Japanese Kitchen followed soon after, then Craft Cocktail Company, and now Sager & Wilde's Mission has arrived, but more on that in a bit. No trip to E2 is complete without a couple of beers at MK's, and that's where our evening began. 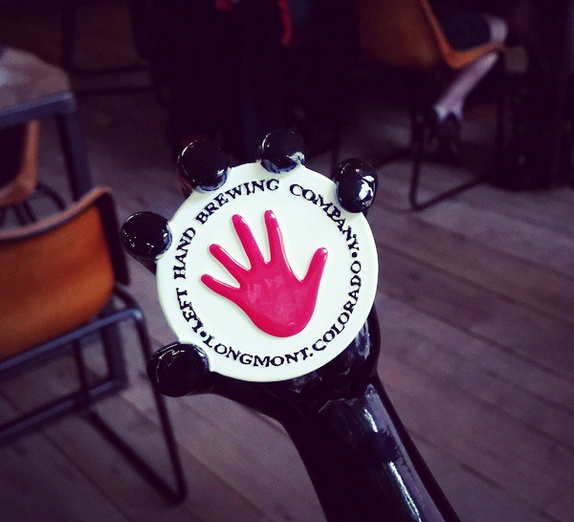 Rather conveniently, they were hosting the UK launch of Left Hand Brewing (from Colorado). They are known for their Milk Stout which was available on nitro (smoother pour akin to Guinness) as well as regular taps. Stranger Pale Ale and 400 Pound Monkey IPA went down rather nicely too. 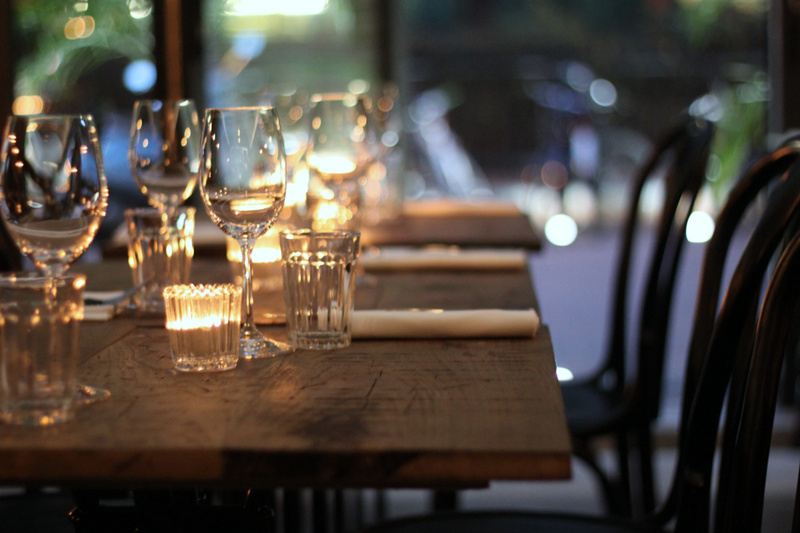 It was a flying visit though, as dinner beckoned next door at Mission, the new "Californian wine bar and kitchen" from the popular duo of Michael & Charlotte Sager-Wilde. The name refers to the Mission grape variety, the first to ever be planted in California. Their small but perfectly formed wine bar (Sager + Wilde) on Hackney Road has been a huge success, and this time they are back with more than just grilled cheese sandwiches. James de Jong (previously at The Drapers Arms) is their secret weapon, bringing "Californian-style cooking with Italian influences" to Bethnal Green. All the arches on Paradise Row are more or less the same plot, so it's interesting to see how differently they all approach the design. 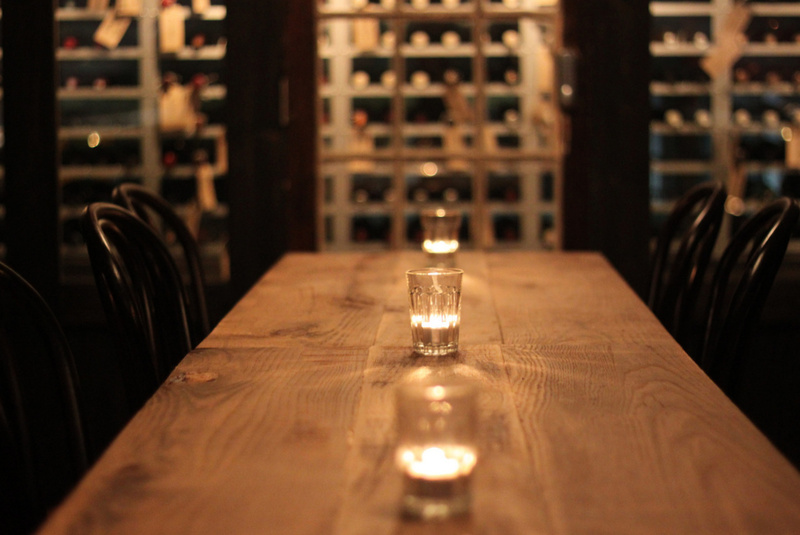 At Mission, you arrive right in the heart of the dining area, with the wine bar behind separated by some exotic plant life. Looking down on it all is a mezzanine reserved for private functions. Some of the best bottles are stashed up here too. Lighting is just on the right side of the romantic / too dark to see your food line, even as early as 7pm. 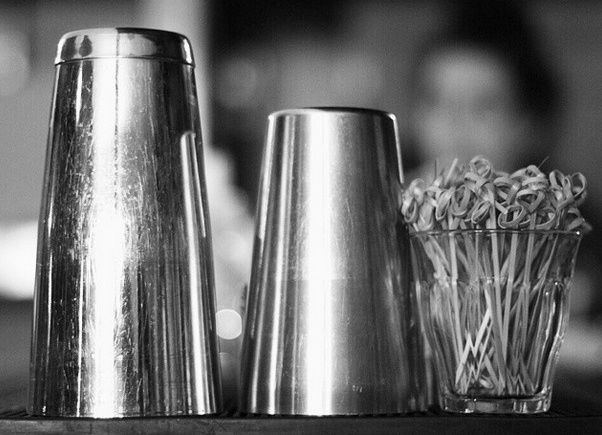 Let's chat about the drinks first. There's the wine of course. Of all the booze groups, wine is the one I know least about, but Charlotte, Michael and the rest of the staff were on hand to fill in any gaps. At any rate, it's an excellent list. Then there's a small but interesting selection of bottled beers including contributions from North Coast & Pine Street, two Californian breweries. Anyway, on to the food. 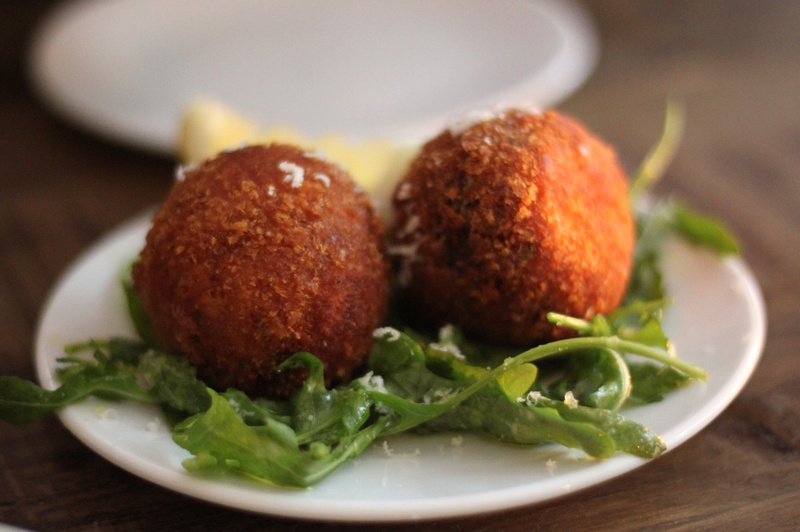 We started with 'Nduja Arancini (£6.50) - difficult to divide between three, but worth the effort. 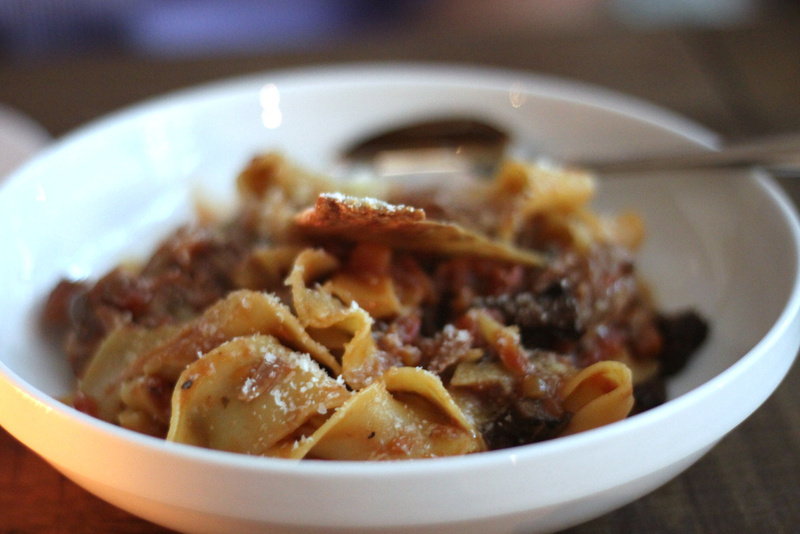 This was joined by Duck Pappardelle (£8.50)- simple but effective. I would happily eat a boat load of this. 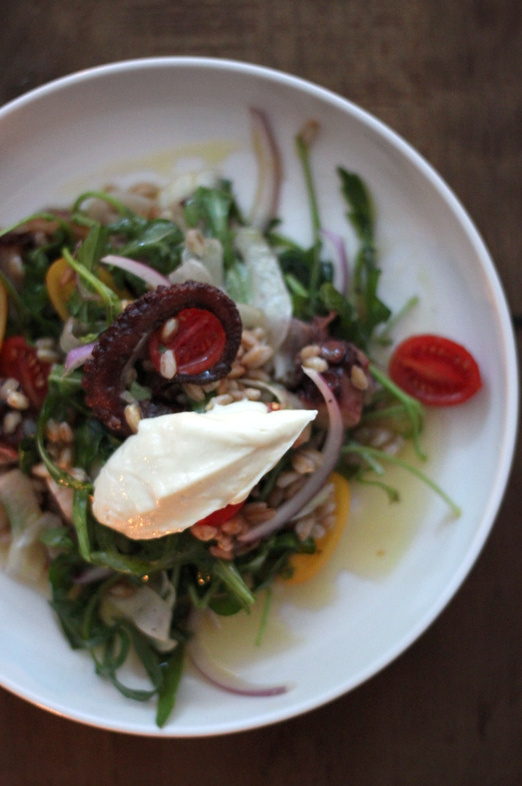 Our third small plate was Octopus, Farro, Tomato & Aioli (£8.50) - a generous portion of garlicky goodness and a contender for best plate of the evening, though not advisable for first dates! Then came the Salt Ox Cheek with Lentils & Salsa Verde (£15). Three hefty pieces of wonderful meat arrived in the most glorious sauce. Great value, high quality sharing food. I hope it's still on the menu when I return. We followed this with Rabbit Leg, Pancetta, Polenta & Girolles (£17) - very popular on the other side of the table, but not in the same league as the Ox Cheek for me. More-ish Garlic & Rosemary Potatoes (£3.50) kept everything company. A pair of guys near us went straight for the Lamb Scottadito (£37) that we had been eyeing up - supposedly for two or three, it could easily have fed a small town. Food jealousy ensued. 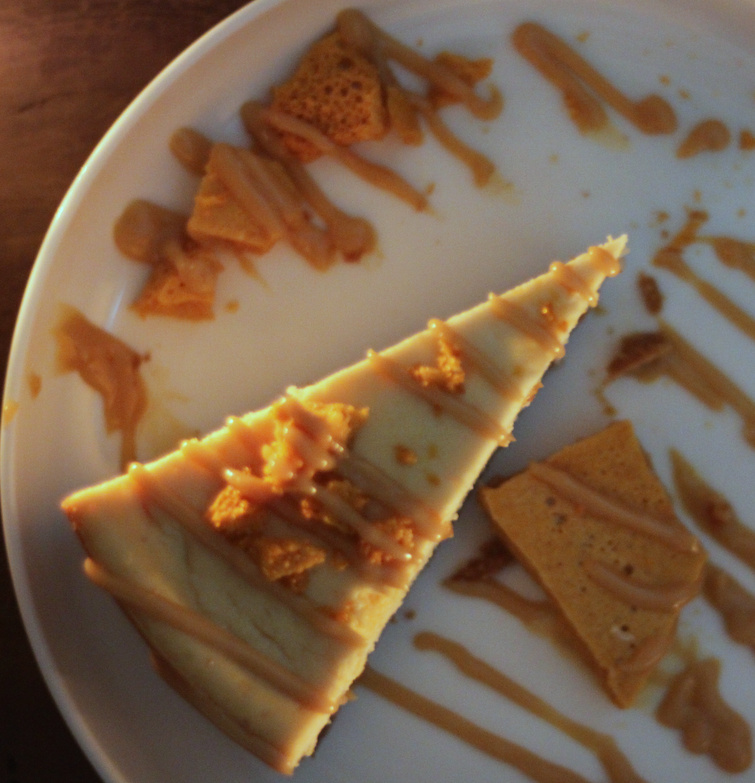 Not for long though, as my Dulce de Leche Cheesecake with Honeycomb arrived. I'm sure the Lemon Sorbet with Prosecco on the other side of the table was nice enough, but there was only ever going to be one winner in that fight. It was one of the fluffiest examples of the genre I have ever had the pleasure of demolishing, with a subtle vanilla flavour backed up by the supporting cast on the plate. Considering this was Mission's first evening of service (soft opening and all that), everything ran extremely smoothly, staff were calm and friendly (one smashed item was cleared up before I even managed to turn my head), and the food was confidently dispatched. It opens fully on Monday September 15th, and will no doubt be busy from day one, so get booking! N.B. 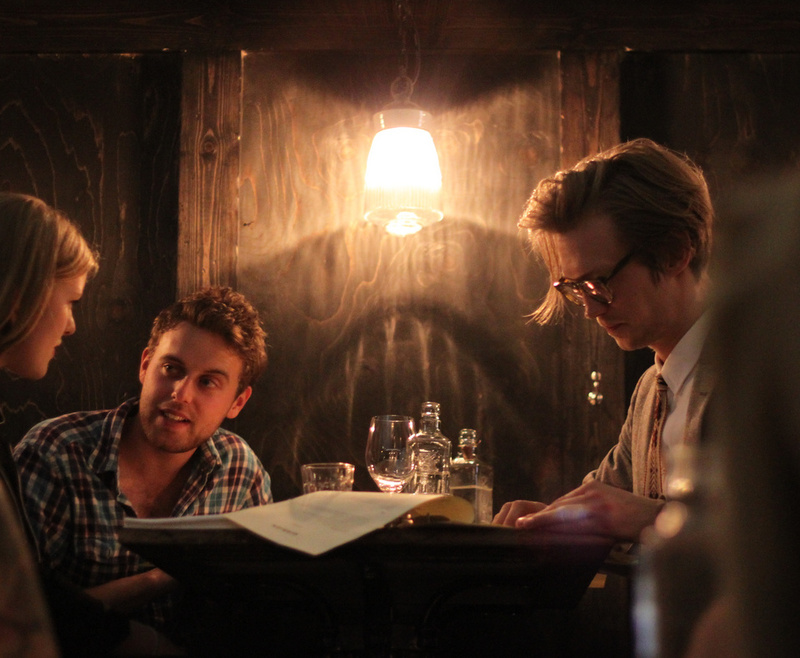 They are also opening up for brunch at the weekends, see you there. We picked up a few more people at Mother Kelly's en route to our final stop, Craft Cocktail Co.. This doodle demonstrates just how far we had to travel all evening. Archways 252 & 254 are currently empty, but a little birdie told me Pitt Cue Co might be the next arrival - very good news indeed. CCC's neon sign drew us in to their attractive bar which was sadly rather empty compared to the buzzing Mother Kelly's & Mission a few arches down. The upside though was full attention from the friendly staff, starting with a quick tour of the site. I should explain - Craft Cocktail Co is no ordinary cocktail bar. Hidden round the back is their own little factory for creating large batches of cocktails. These are either bottled (to be sent away to festivals, sold for takeaway on site, or opened and served up for punters), or put through draft lines to be served in pint glasses on tap. And so we went round to look at the process with words like vats and pasteurisation being thrown around - not necessarily what you want to hear when talking about making cocktails but there you go. Then we moved back to the bar, and were kindly offered samples of all of the pre-made cocktails - much like getting tasters in a pub which I approve, especially if you are going to buy a pint of the stuff. Hard Iced Tea - Lots of cardamom... can't quite remember the rest! For me, they are were all lacking one thing. Alcohol. Or rather, the taste of it. They were all perfectly drinkable, but not very adventurous, with rather uninspiring base spirits. The slightly more exciting drinks with the likes of Petits Pois infused gin, Lavender and Rose Water failed to sparkle. I hope that they will continue to tweak the recipes and create a few more challenging concoctions, as they've got such a great setup. 18 year old me would probably absolutely love it, £6 for an easy-drinking pint of Alcoholic Ginger Beer (effectively a giant Moscow Mule) or Summer Fruit Cup (Pimm's alternative), but now I'm in my early-mid-late twenties, I go for quality not quantity. In the meantime, you are best off going from the classic cocktails list that includes Negronis, Martinis, Old Fashioneds and Sazeracs. These are made to order by the barmen, though I believe they intend to bottle these too, which would be more up my street. 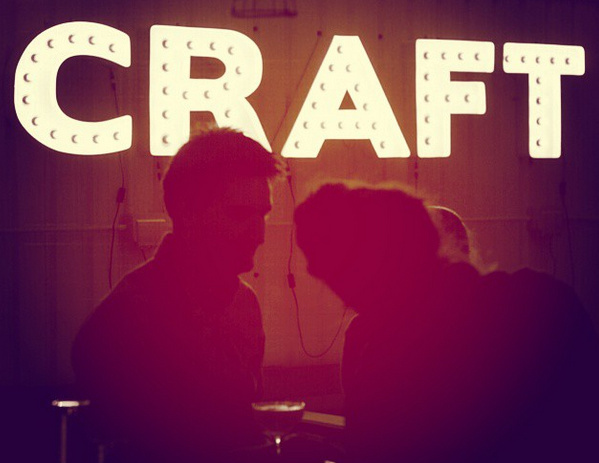 There are also top local beers from Redchurch and Hackney Brewery in the fridge. It's clearly a work in progress, and I would love to see them succeed as they are trying to do something different. It could be a fantastic place to hangout, especially with the rest of the Paradise Row dream team nearby, but for the moment it is a little disappointing and the house cocktails need a lot of work. When the competition is Peg + Patriot and Satan's Whiskers, you really have to raise your game.